Blessings on this New Moon in Gemini! Gemini corresponds to The Lovers in the Tarot. 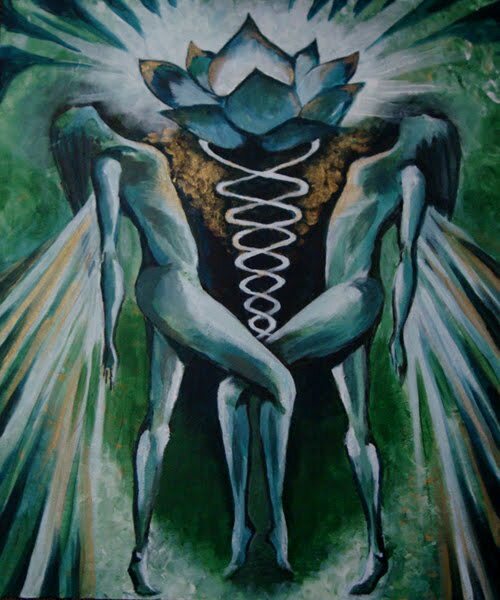 Esoterically, the symbolism relates to the balancing of masculine and feminine energies under the auspices of spirit. This is the Hieros Gamos, or “Sacred Marriage”. What will be highlighted at this time is where the masculine and feminine are in harmonious union, and where this balance is missing. Aspects of relationships that no longer serve our higher purpose will need to be realigned, or relinquished. Gemini also relates to breath and communication. Remember that all words are sacred and we profane this gift when we use our speech to bring harm to ourselves, through our inner dialogue, or to others. If you need support, individually or with your relationship, then please contact me. "Alan Schaub... came highly recommended. My reading was very personalized, intimate and... meaningful." - E.P.